Fiber optic cable (fiber) technology uses glass strands to transmit data via light waves. Fiber is ideal for digital communications, such as High-Speed Internet, Digital Video, and VoIP, and is capable of far greater bandwidth than other technologies. There are many benefits to fiber, but faster Internet connections and the ability to download large amounts of data instantly, are the main benefits. Fiber-optic networks also support advanced services, such as high-definition television, 3-D video, and holographic imaging. What is the difference between dark fiber and lit fiber? Lit fiber is active optical fiber currently in use by ISPs or private organizations to transmit data. Why is the Kent County Government investing in a dark fiber network? The current architecture of the extended Kent County Government network is a hybrid model comprised of fixed and 4G wireless transmission and fiber optic connectivity leased through multiple providers. The construction of the new fiber optic network will consolidate the various technologies. The construction of this network intends to expand the offerings of the current network providing fiber connectivity to multiple anchor institutions around the county, including public schools, public safety, local government agencies, and other public services. The expansion of the county network, utilizing “future-proof” connectivity, creates the capability for agencies to operate more efficiently. This includes possible cost reduction in services or maintenance and improved connectivity for site-to-site services. Along with the fiber utilized by the county government, additional strands of dark fiber will be available through Kent Fiber Optic Systems for lease by private organizations or ISPs which can be used to provide a variety of services to the home or business. Is there middle mile fiber in Kent County already? Why would the government build over top of what is already there? The decision to connect multiple anchor institutions was intended to spread fiber backbone/middle mile coverage to as many regions of the County as possible. Currently, only 13 of the sites are connected to a dark fiber network which is leased through a state government entity but lit and managed by the county. This dark fiber is reserved for government use. An additional 4 sites are connected through a dark fiber lease with a private sector entity. The County government may not sub-lease these fibers. The intention is to install high-capacity fiber optic connections between the selected anchor institutions to carry dark “middle mile” fiber throughout the majority of the County. Providers will have the option of leasing fibers through Kent Fiber Optic Systems, to reach areas where construction may have been cost-prohibitive for some business models. Who manages the fiber optic network? The fiber optic backbone will be connecting over 60 anchor institutions and consists of several strands of fiber. 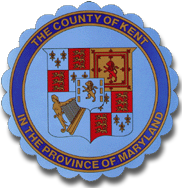 A portion of this fiber is owned and managed by the Kent County Government, providing lit services to over 60 anchor institutions. The remaining strands of dark fiber are owned and operated by Kent Fiber Optic Systems and will be available for lease to private entities to expand their current coverage. What is the significance of the connected anchor institutions? Board of Education and all public schools - Important to add or improve redundancy to all KCPS facilities because of the increasing reliance on cloud-based material, media servers and Technology Enhanced Classrooms (TEC). Public safety - Improved connectivity for web services and reporting. All public library branches - Improved connectivity to all 3 branches where computer access and internet access is available to the public. Community center - Improved connectivity to the computer lab where internet access is available to the public. Local and municipal government buildings - Improved connectivity for web-based services. Water and wastewater facilities - Improved connectivity for systems monitoring. Humane society - Improved connectivity for web-based services.